If you regularly visit my blog you should know by now how much I adore Cecy Robson's writing. Whether it's her urban fantasy Weird Girls series or her contemporary romance Shattered Past and O'Brien Family I devour all of her books the moment I get my hands on them and it's so incredibly easy to get sucked into her worlds and root for her characters. Anyway, today I'm thrilled to be taking part in the blog tour to celebrate the release of the second O'Brien Family book, Let Me, which will be available tomorrow. I've already read the book (watch out for my review later today) and you guys are going to totally fall in love with Finn when you meet him! To celebrate the release of Let Me Cecy Robson is giving away a Prize Pack, including: Two T-shirts and swag from Cecy’s SHATTERED PAST series (Once Pure and Once Kissed RITA® 2016 Finalists), magnets and pins from both her SHATTERED PAST and award-wining WEIRD GIRLS series, WEIRD GIRLS water bottle, and signed paperback of A CURSED EMBRACE. 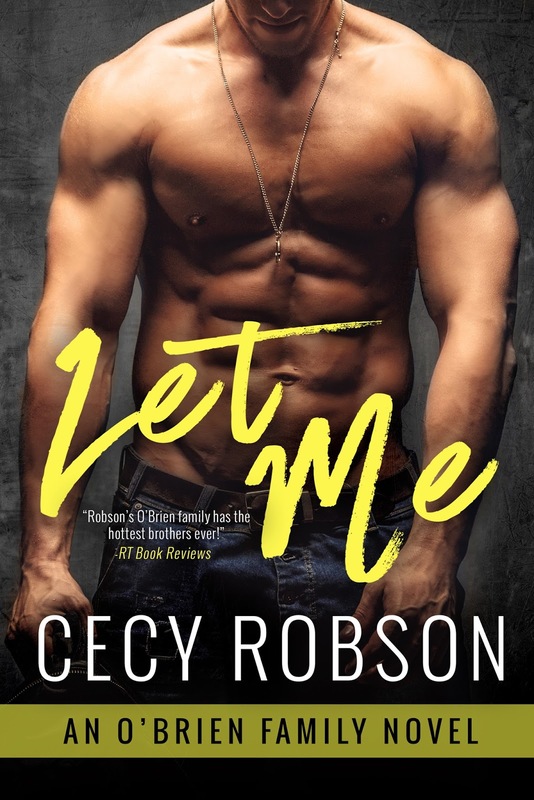 Don't forget to check back later today to read my review of Let Me! Thank you for falling in love with Finn as much as I did, Sarah. I appreciate you taking the time to read, review, and feature LET ME! It's Cecy--for some reason Google has listed me as "unknown". Thank you for featuring LET ME! Can't wait to read your review!